I am here today to introduce to you my first Easter Card Class. You can either take this class in my home or order it long distance. 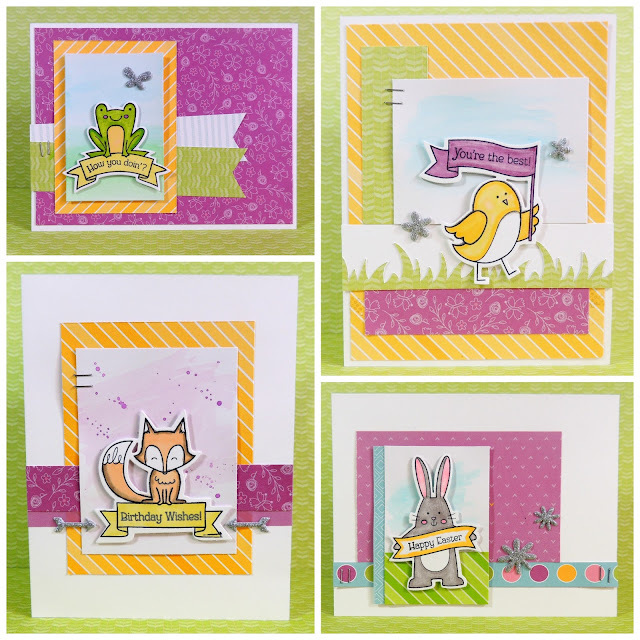 In this class, you will be making two cards of each design for a total of 8 cards. I love this class because I am teaching so many techniques within these four cards. You will watercolor backgrounds in different ways, and I will teach you how to use and blend Shinhan markers to color the animals. Thank you so much for stopping in today! I appreciate you!